There are several methods that gardeners use for growing Marijuana seeds indoors, the first, and where most people begin, is to plant their germinated seeds into individual pots filled with a suitable growing medium. Many people use this method as it is relatively cheap, easy to purchase and set up. Pot size is crucial for developing both good roots and a good sized plant. During the vegetative stage the plant grows quickly, and it’s roots even quicker! Once a plant become root bound and there is little room left for further root development, growth will be reduced and the slow down. 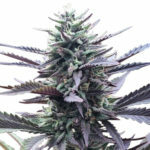 Some growers start growing Marijuana seeds indoors in a medium sized pot to begin with, moving the plants to a larger one once they become established. If you do repot your young plants, ensure the roots and potting medium are moist and be as gentle as possible. A good watering with a root feed such as Rhizotonic can help to reduce any stress the plant may undergo. There are a number of choices and variations on which potting medium to use. These include; soil, vermiculite, perlite, rockwool, hydroponic pebbles and coco coir as the most common. If you are growing purely in individual pots a mix of any or all of the above mediums each have their own benefits and draw-backs. Good quality soil often contains most of the nutrients needed to grow plants in pots with the minimum of effort or sourcing. However, it can get quite sodden and heavy, allowing little oxygen to the roots and making it harder for the young roots to find tiny air pockets to grow into. A heavily over-watered Marijuana plants struggles to grow and the best way to avoid it is to add a lighter medium to the soil to allow for better drainage. Mixing vermiculite, perlite or hydroponics pebbles into the soil will assist in aerating the soil, allowing the roots to develop faster. Coco Coir is shredded coconut shell and makes an ideal, light growing medium that retains moisture well, without becoming sodden. Traditionally, hydroponic pebbles and rockwool are used in hydroponic set-ups, and apart from soil, none of the other growing mediums contain any nutrients. A benefit for the soil grower is that their medium contains many of the nutrients and minerals the plant will need during it’s life. While using other inert mediums requires the gardener to introduce the nutrients the plant needs, when it requires them. The other widely used method for growing Marijuana seeds indoors is to use a hydroponic system. There are a wide number of varieties available, each doing a similar job in a slightly different way. Commonly each plant is fed via a delivery method from a reservoir containing the correct levels of nutrient added water. The plant is contained in a pot of hydroponic pebbles, or a rockwool cube that is fed constantly, often via a tube, such as the drip or wilma systems, or by flood and drain methods or the nutrients constantly running under the pots such as NFT or Nutrient Film Technique. A lot of people move to growing Marijuana seeds indoors using a hydroponic system once they have gain some experience. This is because hydroponics can grow bigger plants, with greater yields in a faster time than growing in pots. This is because the plant has constant access to water and nutrients which ‘pump’ the plants making them bigger. 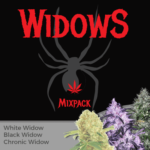 A lack of experience, or a misjudgement of nutrients when growing hydroponically can have fatal consequences for the plants, and many growers have lost or damaged entire harvests due to wrong feeding levels, nitrogen burn, numerous deficiencies and overdoses. Not to mention blockages in the feeding tubes that can occur, restricting the flow of nutrients to an individual plant, or even the water pump stopping, which can be fatal in as little as forty-eight hours if growing with hydroponic pebbles. 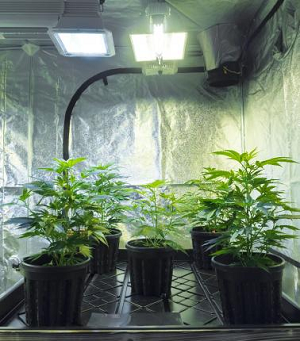 Growing Marijuana seeds indoors requires the use of artificial light. This can be provided using a variety of means as the needs of the plant grow. As young seedlings, Marijuana plants require as much light as possible, however too intense, or too hot and the young seedlings will soon die. At this young stage many people choose to use fluorescent lighting tubes, they are cheap and easy to purchase and when used with a ‘cool’ tube, provide all the light necessary during this delicate stage. Marijuana plants use the light spectrum from blue or cool, through to red, or warm. During the initial growth stage the plant will use a higher percentage of blue spectrum light, this changes to requiring red spectrum light as the plant enters the flowering phase. Fluorescent light is not very powerful, and although perfect for seedlings, as the plant grows it requires stronger, more intense light to achieve it’s growth potential. For this most growers use High Pressure Sodium (HPS) lamps. These lamps usually comprise of a separate ballast and light reflector and are available in a selection of sizes, 400 and 600 watt versions being the most commonly used. Although these lights are more expensive they provide the necessary light intensity that the plant requires and can be used to run a selection of different bulbs. Being able to switch bulbs can be a great benefit to anyone growing Marijuana seeds, as it allows the grower to use a bulb with a greater blue spectrum during the vegetative stage, and change to a red spectrum bulb for the flowering phase, thus maximizing the plants growth potential. Disadvantages of using HPS lamps are the heat they generate and the cost per hours of running them. The unit generates considerable heat, which increases the higher the wattage. This heat is emitted from two places, from the ballast box, and from the bulb. To help reduce the heat build up in the growing area, place the ballast as far away as possible, preferably outside of the growing area entirely. The bulb also generates a large amount of heat and should not be placed too close to the plants when you are growing Marijuana seeds indoors, they will only end up with a scorched top. You should be able to place your hand at the plant height directly under the bulb without feeling the heat building up. Remember, if it’s uncomfortable for you, it’s uncomfortable for the plants also. If you open the door to the growing area and the air is hot, your plants will not achieve their optimum potential. Increasing the light into an already hot grow room will achieve little. Once the heat builds to approximately 28 degrees, the plants reduce their growth, struggling to transpire. Introducing more light would be a waste as they cannot fully use the available light they already have. If however, you have your environment controlled, and heat is not a concern, more light equals greater growth, both in the vegetative and flowering stages. There are sealed light units that connect to air ducting and by using an extractor fan remove the heat generated from the enclosed bulb from the growing area. 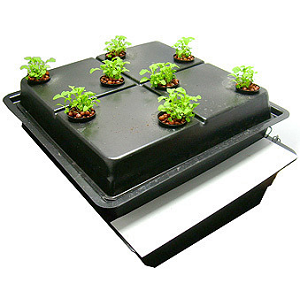 These lamp units are slightly more expensive, but allow for greater control of the environment by removing the heat at source before it affects the plants. Running any HPS lamps cost money, and the more you run the greater the daily cost, as well as the initial outlay. Additional light without environmental controls can be more detrimental than beneficial as it introduces more heat into the area. An alternative light source for growing Marijuana seeds indoors that’s starting to become more commonly used are LED lights. These provide additional lighting while emitting low levels of heat and can be altered to provide almost any spectrum needed. Although the initial cost of these LED lights is high, they cost a fraction to run compared with HPS lights. Growing Marijuana Seeds Indoors Equipment. The last piece of necessary equipment for growing Marijuana seeds indoors are the fans. These can be broken down into three categories; Intake, extraction and oscillating. Air quality is a vital part of providing the right conditions for growing Marijuana seeds indoors. Without good air quality the plants suffer through lack of Carbon Dioxide, as well as inhibiting their means transpiration, the removal of excess water taken up from the roots and then expelled through the leaves. These two air issues, a lack of fresh air and the build up of moist stale air can quickly affect the growth of your plants, and steps should be taken to avoid creating an environment like this. Firstly the installation of air intake is necessary. There are a wide number of intake fans available, offering different sizes, volumes and noise levels. The fan is then placed where it can intake fresh air, or ducting attached and placed, with further ducting from the opposite side of the fan to contain the fresh intake of air and push it into the growing area, introducing fresh air for the plants to use. Depending on which way round the fan is placed, it will either extract air from the growing area, or introduce fresh air for the plants to use. Air extraction is just as important when growing Marijuana seeds indoors, and a separate fan should be purchased to deal with air out-take. Set it up in a similar way to the intake fan, making sure the exhaust is away from the inlet ducting, with the other end sucking air out of the growing area. 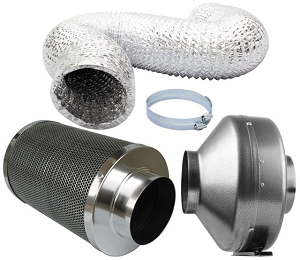 If smell is an issue or worry, purchase a carbon filter of a similar capacity to the extraction fan on the end of the ducting inside the grow room. Suspended from the ceiling, these carbon filters are similar to an air filter on a car. As the air is sucked from the room through the filter, not only does it filter out any particles and dirt, the inner charcoal mass across which the air is drawn, actively removes smell molecules from the air, reducing any aromas and odours the plants may be producing. Plants intake the vast majority of Carbon Dioxide through the surface area of their leaves, this means that air settling around the leaves is quickly depleted of its Carbon Dioxide levels, as the plant cannot move itself, or the air away, it relies on air movement to provide fresh air across it’s leaves. People growing Marijuana seeds indoors need to provide this air movement inside the growing area, and do so by adding oscillating fans to sweep air across the plants leaves. By controlling the air you are creating a better environment for the plants to grow and thrive. 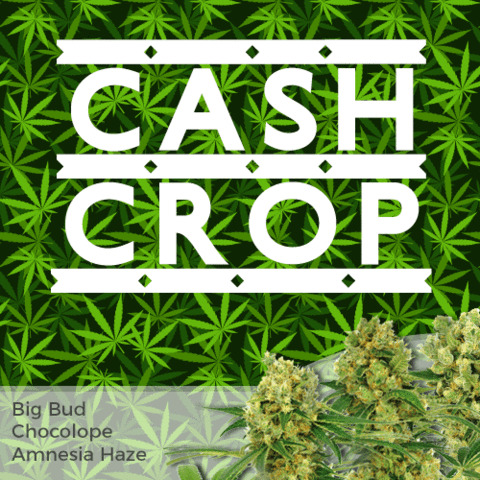 An abundance of fresh, cool air and extraction of used, stale air helps generate greater, more vigorous growth producing bigger plants and heavier buds. While ignoring the need for air quality will lead to reduced and slow growth, creating low yielding plants. 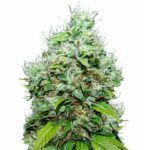 Growing Marijuana seeds indoors requires equipment, and although the items listed above are considered the most essential, there is a lot more equipment available to help enhance a selection of growing methods and styles. Environment control sensors that automatically control the heat and CO2 levels around the plants, Carbon Dioxide bottles and regulators to achieve ‘super-growth’ and timers to run the complete operation on a daily basis without you having to constantly be there. 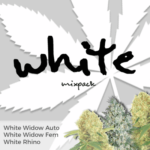 Growing Marijuana seeds indoors can be as easy or as complicated as you wish to make it. The point is to make it a pleasant experience for both you and the plants. Providing the right environment and conditions will help enhance the growth and subsequent quality and quantity of your harvest and can be achieved relatively easily and cheaply by understanding which pieces of equipment are necessary for growing Marijuana seeds indoors. Choosing the right strain suited to your tastes, needs, experience and requirements is just as important as creating the right conditions. 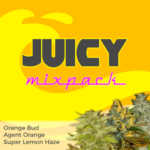 We are a selection of the finest indoor Marijuana seeds for sale, all with guaranteed delivery and germination. If you would like to learn more about these seeds, click below.